Ordinarily, I wouldn’t make more than a mental note; however, the “evolution,” as they say, of historian and professor Paul Kengor’s verdict on President Franklin D. Roosevelt’s pro-Soviet adviser Harry Hopkins seems worthy of notice. On Jan. 14, Kengor joined Mark Levin on his Fox News show, “Life, Liberty & Levin,” to discuss Russian influence over the life of this nation. As the author of “The Communist,” a book about Obama’s communist mentor Frank Marshall Davis, and “Dupes,” a chronicle of communist manipulation, Kengor certainly made a knowledgeable guest for any such interview, even if one mere hour of TV could do little more than skim the surface of the dark, deep subject. Indeed, the pair spent much of the show discussing just one treacherous “collusion” in 1983 between the late Sen. Ted Kennedy, the KGB, and Soviet dictator Yuri Andropov. Turning to earlier history, Alger Hiss, too, came under discussion, along with a light sprinkling of names from among the 500 known (many remain unknown) Soviet agents and agents of influence functioning in and around the halls of power in Washington by the time of World War II. Well, blow me down. It’s one thing for me to say that “duped,” “soft liberal,” “unwitting,” “clueless,” and “oblivious” aren’t adjectives I would apply to political impresario Harry Hopkins—especially not after the extensive scrutiny of the Hopkins record I engaged in while writing “American Betrayal,” a book that minutely explores the question of whether Hopkins ever served Moscow as an agent of Soviet influence while inside the White House (literally, since Hopkins lived alongside Franklin and Eleanor Roosevelt in the White House residence for three and a half years, including during World War II). What struck me upon hearing Kengor’s comments, however, was that it wasn’t so long ago that Kengor was leaning in the opposite direction, himself. In 2010, when his book “Dupes” came out, Kengor portrayed Hopkins in a different light. “As I lay out carefully in ‘Dupes,’ with all the sources and footnotes, Hopkins may have been ‘Agent 19,’ ” Kengor said in an interview with Breitbart News. That’s no dupe. “Agent 19” refers to a code name in a certain 1943 KGB cable, one of thousands intercepted during World War II. Some of the cables were eventually decrypted (or partly decrypted) in the “Venona” project and released to the public by the U.S. government in the 1990s. In the cable in question, “Agent 19” conveys to Moscow details of a small, highly sensitive discussion he witnessed between FDR and Churchill inside the Oval Office concerning the date of the planned Normandy invasion. As Kengor indicated in 2010, there is strong evidence that Hopkins “may have been” Agent 19. Whoever Agent 19 was, of course, he was no dupe. Nor was he “clueless,” “unwitting,” etc. As set forth in detail in “American Betrayal,” however, there is extensive evidence of Hopkins’ perfidy above and beyond any one Venona cable. Much of this evidence was developed by the late Herbert Romerstein, a towering expert in domestic communist subversion, who now enters the story in Kengor’s 2010 Breitbart interview. I realize the question of whether Hopkins was a “dupe” or “agent of influence” inside the White House 80 years ago will strike some as the essence of esoteric. However, as I learned the hard way, after presenting in “American Betrayal” a portrait of Hopkins that builds on the research of Romerstein and others, that this man’s eternal innocence is a precious, vital mythology for academia’s cabal, and woe to anyone who dares dispute it. Why? 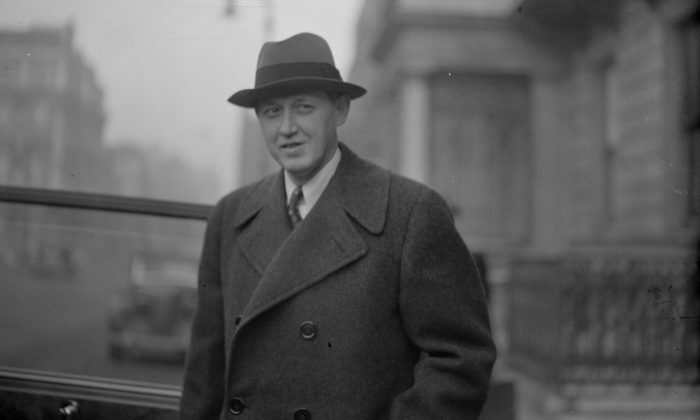 In part, it may come down to this: If Americans judge the evidence for themselves and conclude, like Romerstein and others, that Hopkins was an agent of Soviet influence, his central role in FDR’s administration—first, in bringing the socialist revolution we know as the “New Deal,” and, later, the disastrous decision-making that seems to have prolonged the fighting in World War II, thus enabling the communists to occupy half of Europe and later seize China—appears in a new and terrible light. Everything we have been taught, not only about FDR and World War II, but also about the Cold War and the “American Century,” is suddenly upended. Even our conception of ourselves starts to unravel. This is bad juju—at least, for the Swamp, which perpetuates “court history” to ennoble itself. It is, however, good—if bitter—medicine for the cause of honesty, repair, and reconstruction of the American republic. Might Kengor have shifted his Hopkins assessment because of the emergence of new evidence that neutralizes Romerstein’s case? If so, I have yet to see it. In fact, all that erupted from “the professors” in response to my own brief against Hopkins—for example, Hopkins warning the Soviet Embassy that the FBI was eavesdropping on communist agents engaged in atomic espionage; sworn testimony that Hopkins sent embargoed uranium to Moscow in the midst of the Manhattan Project; Hopkins urging FDR to return the important defector Victor Kravchenko to the Soviets (just like Soviet Ambassador Andrey Gromyko, Hopkins chillingly referred to Kravchenko as a “deserter”); and much more—were toxic clouds of disinformation, not facts. When Romerstein died in 2013, Kengor wrote a warm appreciation of his exceptional scholarship and real-life communist investigations for Congress. Ironically, Kengor met Romerstein in 2005 while attempting to vet the very 1983 Kennedy document that Kengor and Levin discussed on TV. Also ironically, in light of Kengor’s downgrading of Hopkins to “probably” just a clueless dupe, he ends his appreciation with a testament to the care and caution Romerstein applied to the sensitive work of trying to identify America’s covert enemies within. Given Romerstein’s professional assessment that Hopkins was a Soviet agent of influence, this section of Kengor’s appreciation is worth quoting. Romerstein, Kengor wrote, “was no bomb-thrower. He was the epitome of responsible, informed anti-communism. He was careful about drawing the necessary lines of distinction between a liberal, a liberal anti-communist, a genuine progressive, a closet communist masquerading as a ‘progressive,’ a socialist, a small ‘c’ or big ‘C’ communist/Communist, a Party member or non-Party member, and so forth. I agree. So here goes. Romerstein responsibly, carefully, and thoughtfully concluded that Hopkins, aka FDR’s “co-president,” was both a spy and an agent of influence. Did Barack Obama, Sr. Meet a Soviet Spy on a Washington Farm?